Give your skin a brilliance boost with our Superfood Pamper Pack. This is the perfect combo to give any skincare routine a boost and get your skin glowing & gorgeous again in time for Summer! First, scrub away impurities and dead skin cells with our NEW Coffee Scrub & Mask. 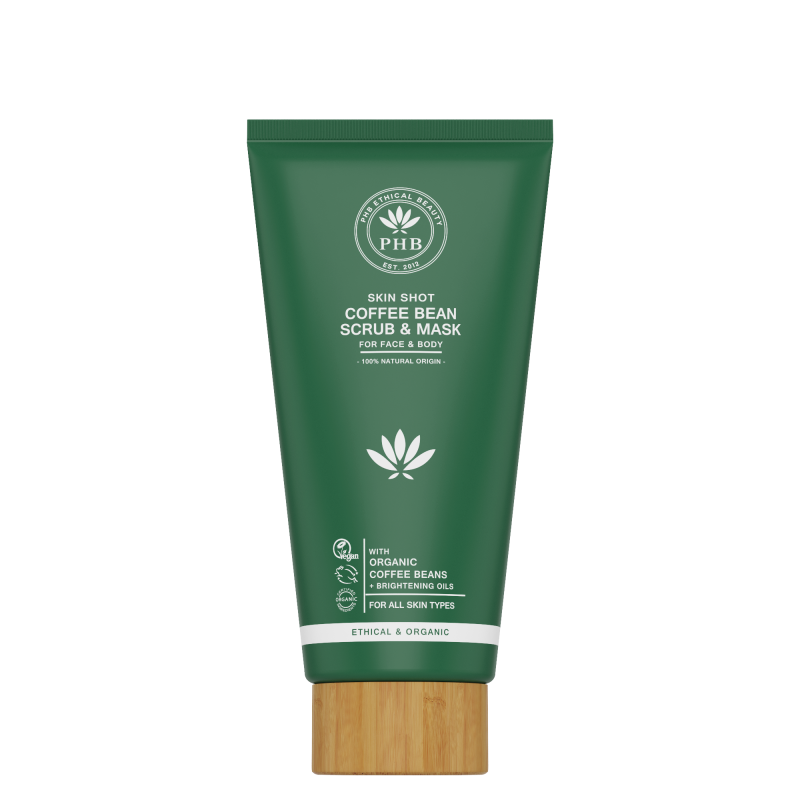 This 2-in-1 Scrub and Mask can be used to exfoliate skin by massaging into skin in small circles and letting the coffee beans work their magic. Then, leave the brightness boosting blend on your skin for 10-15 minutes before rinsing to reveal a fresher, brighter complexion. 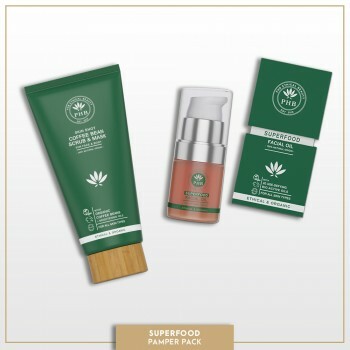 Next, follow up with our Superfood Facial Oil, packed with 20 potent bio-active ingredients to deliver a massive boost of nutrients to your skin. It will leave your skin glowing a luminous from the first use. 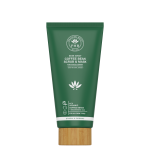 It has a light and silky texture that sinks into skin instantly, and can be used by all skin types including oily and combination. 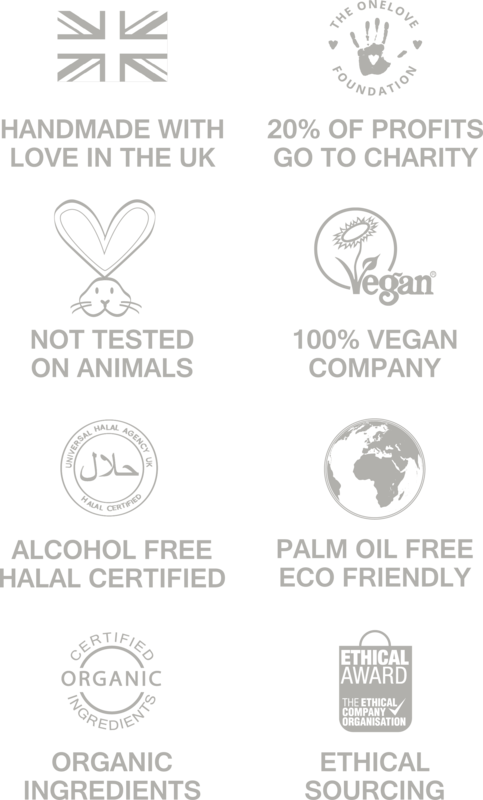 We don't use any filler oils which you find in many other natural facial oils - every ingredient is specifically chosen to deliver optimum results. Coffee Scrub & Mask: Wake up your skin’s sensational potential with our multi-tasking Coffee Bean Scrub & Mask. Use this 2-in-1 blend on your Face & Body to re-awaken dull, tired skin. It scrubs away dead skin cells and stimulates blood flow to give skin a smoother, firmer and brighter appearance. Superfood Facial Oil: Our luxurious facial oil delivers 20 potent bio-active ingredients that lift, firm & replenish your skin, restoring optimum hydration and even skin tone. Perfect for brighter, firmer, more luminous skin. Organic Coffee Beans: Re-awaken tied, dull skin. Excellent for stimulating blood flow. Rosehip Oil: Rich in antioxidants that restore skin's youthful glow & a natural source of Vitamin A which improves moisture levels to reduce wrinkles and fine lines. Avocado Oil: Moisturises and protects skin. Rich in essential fatty acids (Oleic & Linoleic) which soothe skin, reduce inflammation and increase elasticity. Broccoli Seed Oil: Boosts Collagen production. Raspberry Seed Oil: Helps firm skin and restore even skin-tone. Handmade with love | High-Performance Natural Skin Care for All Skin Types | Suitable for all ages & genders. How to recycle our packaging: Glass Bottles and FSC certified Outer Boxes are 100% recyclable. Pumps & caps are not recyclable (due to mixed materials) and should be disposed of separately. Ingredients Please see individual product listing for the Ingredients. Precautions Do not swallow. Avoid contact with eyes. Not suitable for 1st trimester of pregnancy. NEW Coffee Bean Scrub & Mask | with Organic Coffee Beans & Brightening Oils What is it?.. PHB Mini Pressed Mineral Foundation +SPF30For a naturally flawless finish that allows skin to bre..